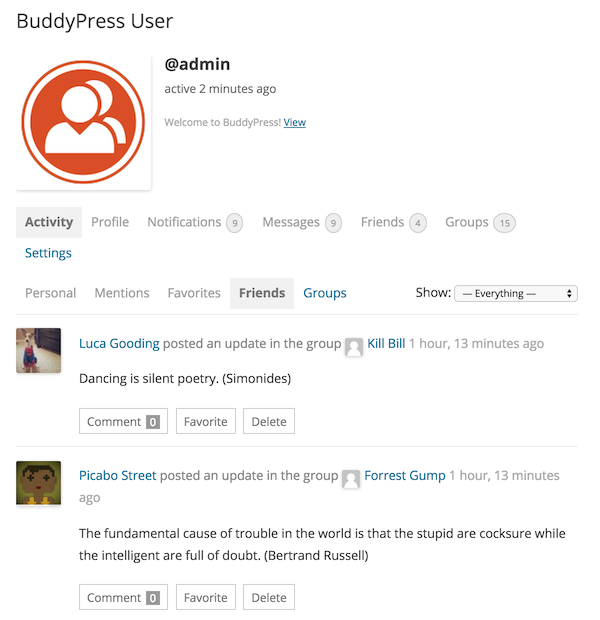 Profiles also provide a personalized frontend dashboard for each member to view their own activity, groups, friends, and private messages, if these optional components are activated. 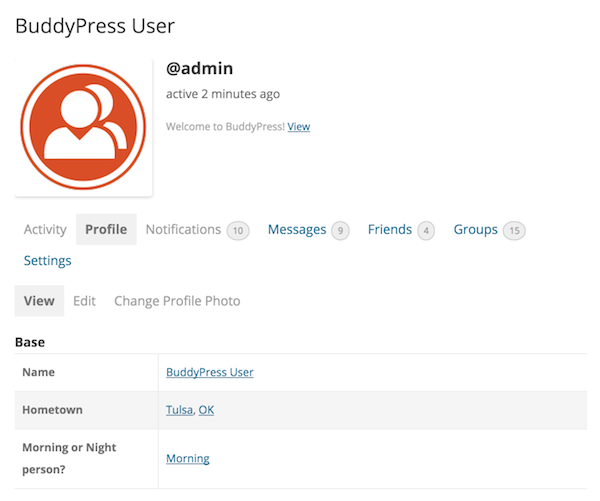 When the Activity Stream component is active, it will log when a members profile is updated. When the Settings component is active, it will allow profile field visibility to be adjusted in a central location. Certain profile field output is made clickable, allowing for easy member searches.